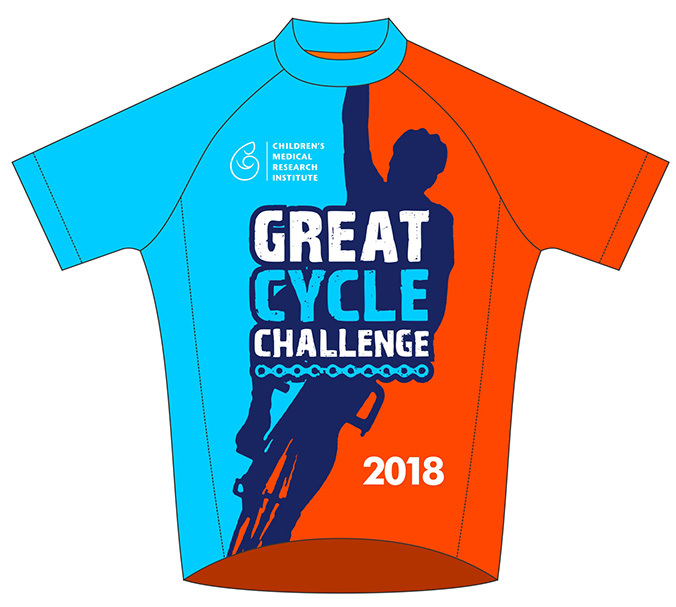 Get your very own 2018 Great Cycle Challenge jersey to wear throughout your challenge! How? Raise just $500 to fight kids' cancer! We'll notify you as soon as you qualify (via email), ask for your size and postal address and then send your jersey out to you within 3 working days once the shipment arrives on August 31. Jerseys will continue to be mailed twice a week in the lead up and during October, so if you reach $500 you'll receive your jersey a few days later. How do I get a FREE jersey? Raise just $500 to fight kids' cancer! If I make a personal donation during my registration, will that count towards my fundraising total? Can I just make a personal donation of $500 when I register? Yes, and you'd be an absolute LEGEND for doing it. When will I receive the jersey? Your jersey will be shipped within 3 business days of you placing the order, commencing August 31 when the shipment arrives. Can I buy a jersey? Unfortunately, no. 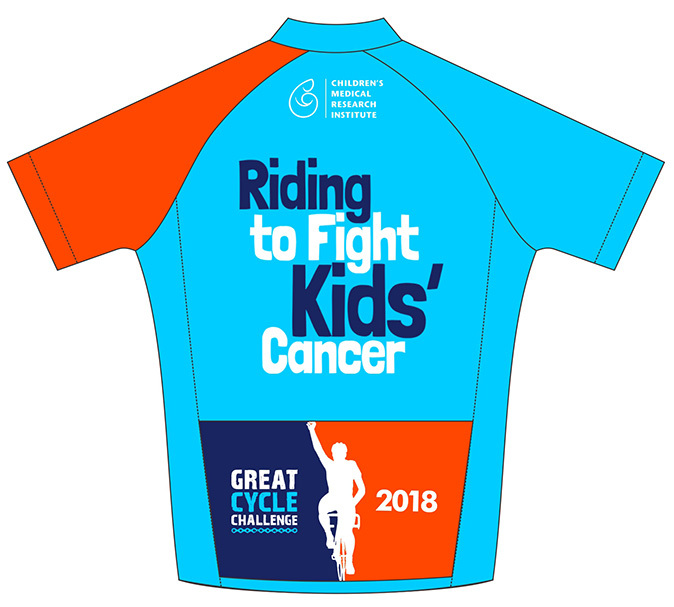 Our jerseys are just for those riders who raise funds to fight kids' cancer! There's only one condition: we can only guarantee your jersey size while stocks last. Will this jersey make me look good in lycra? Ummm, we can't guarantee that.